Since its first appearance in 1854 and through many revisions this dictionary has remained constant in its appeal to scholars. 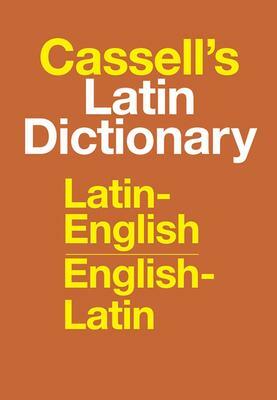 "This new and revised Latin Dictionary is among the best of its kind, being reliable, compact and adequate for the needs of all save the specialist. He has produced what is in effect a new book, typographically easy to consult and combining elegance with utility." -The Times Literary Supplement This edition Incorporates modern English idiom and current Latin spelling. * Includes general classical information where appropriate. Shows long and short vowels where not immediately apparent. * Indicates irregular plural forms. * Cites and quotes ancient classical authors. * Suggests paraphrases to express modern English in classical Latin form. Acclaimed Worldwide Since 1854Incorporates modern English idiom and current Latin spelling.Includes general classical information where appropriate.Shows long and short vowels where not immediately apparent.Indicates irregular plural forms.Cites and quotes ancient classical authors.Suggests paraphrases to express modern English in classical Latin form. D. P. Simpson is Head of the Classical Department at Eton College.